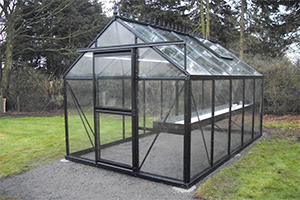 An exciting new addition to our range, the Eos Royal T is a beautifully designed Greenhouse and recreational building that will compliment any garden as a feature. 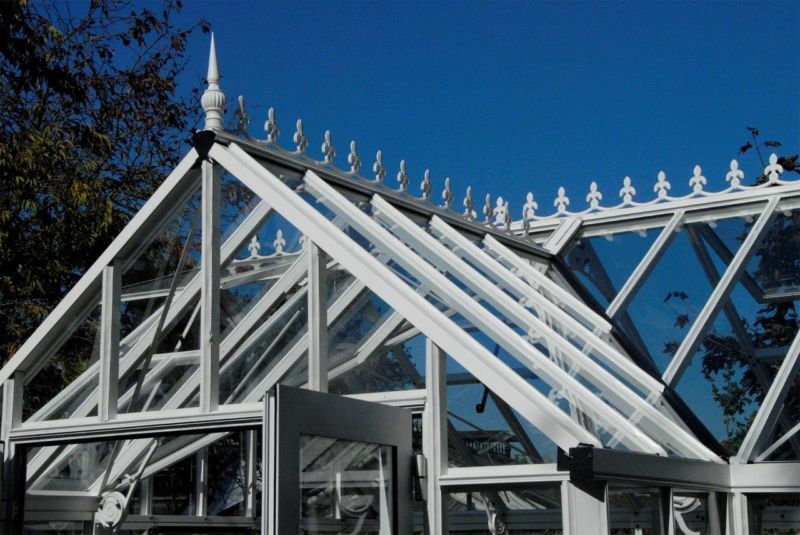 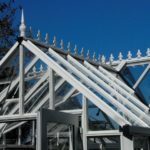 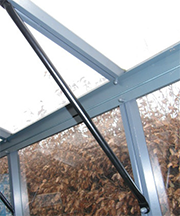 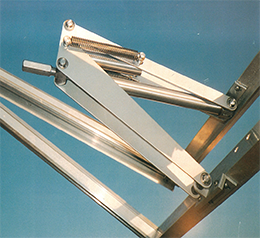 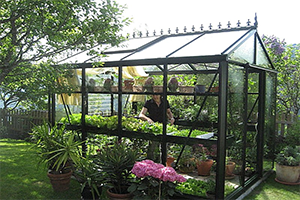 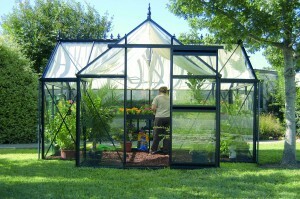 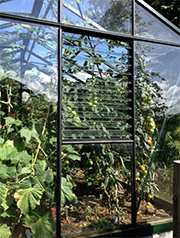 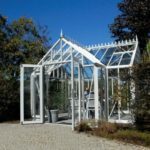 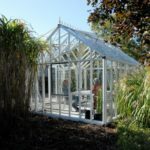 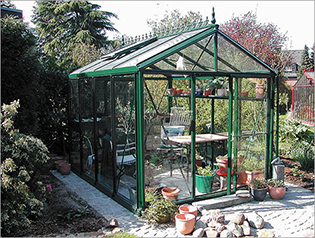 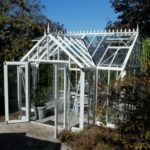 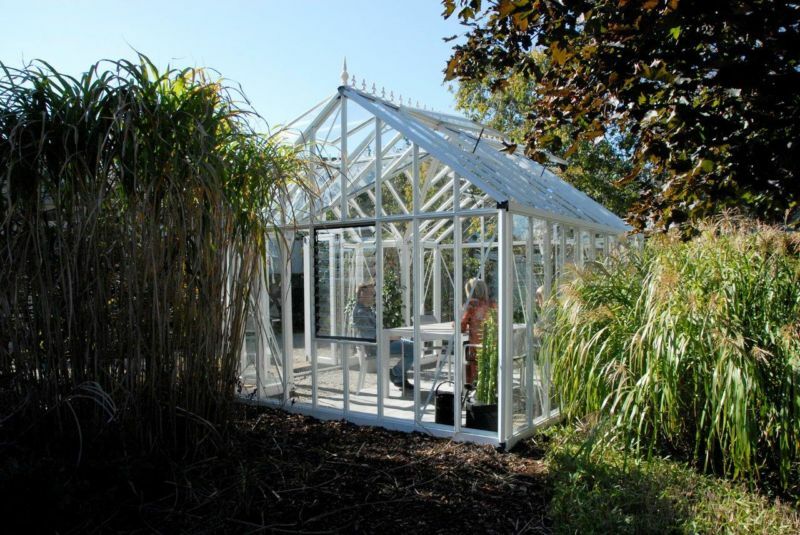 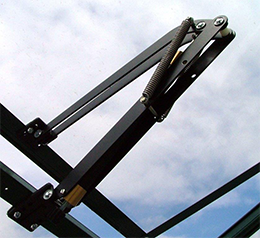 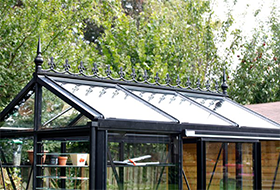 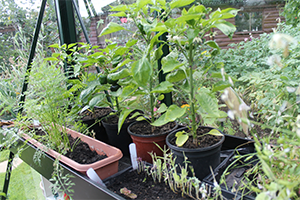 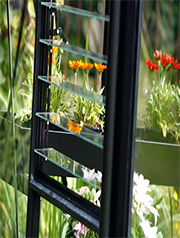 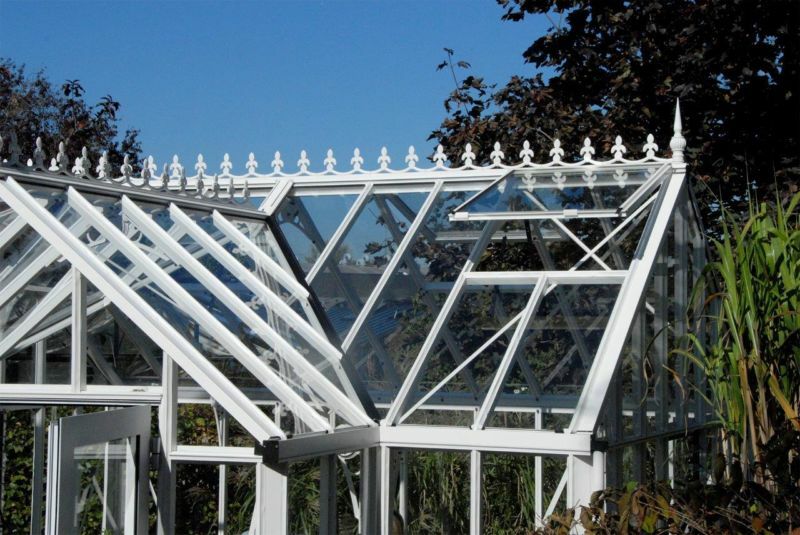 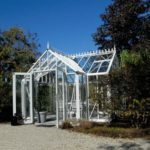 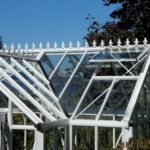 The Eos T has narrow panes of glass and a steep roof angle which is characteristic of Victorian style Greenhouses. 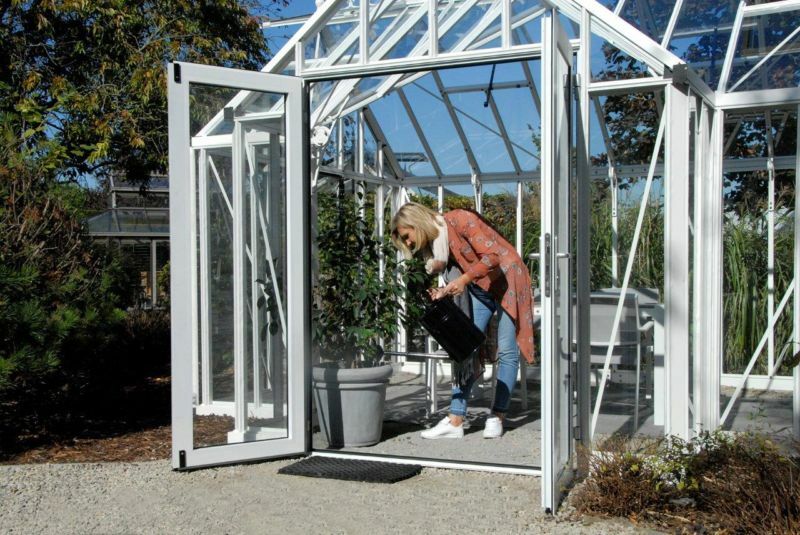 Its heavy double hinged doors give a classy look and it has a low door threshold (a low step) so you don’t have to shower your guests with their drinks as you might otherwise do if there was a tripping hazard. 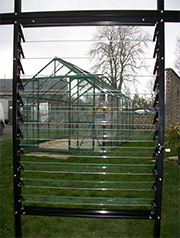 This model is available in a ‘Glass to Ground’ and a ‘Dwarf Wall’ version (wall not included). 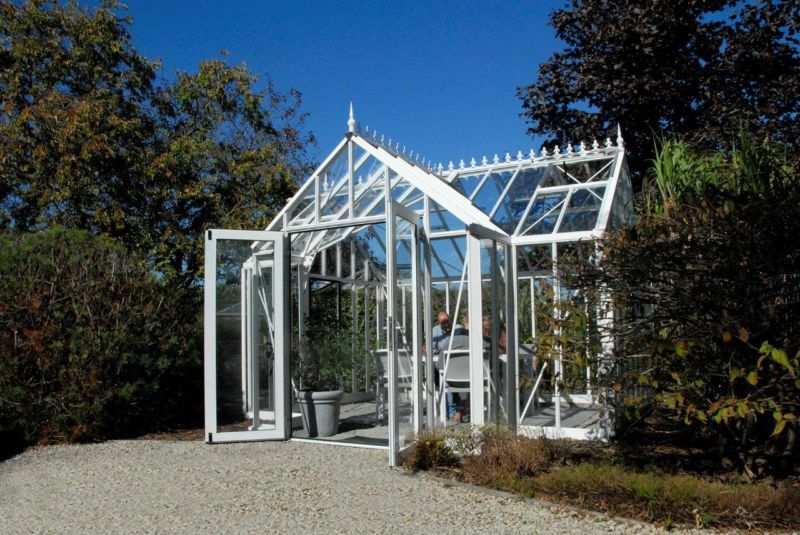 The Eos Royal T is manufactured with strong box section aluminium profiles like all Janssens models, making them stronger than most other domestic Greenhouses of a similar size. 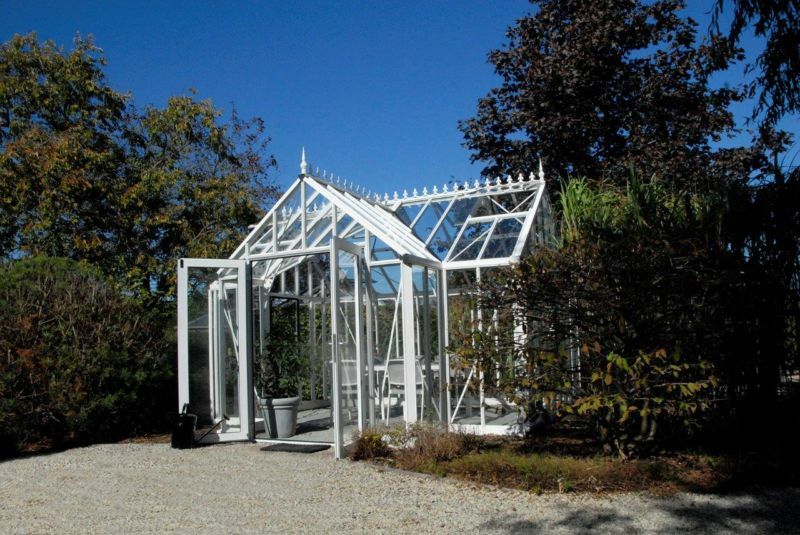 A Janssens Greenhouse is an investment in quality and strength. 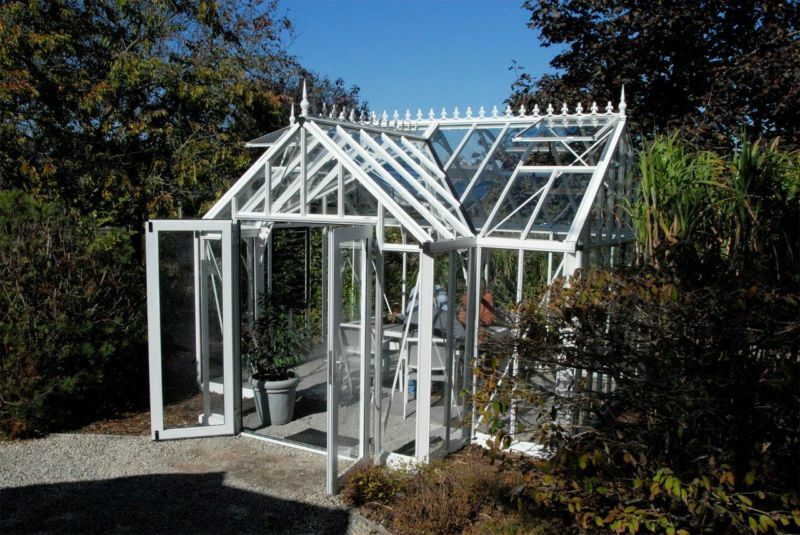 The proportions and shape of the Eos Royal T as well as the narrow panes of glass and double hinged doors make this model a stylish model that will be a very pleasing feature in the garden. 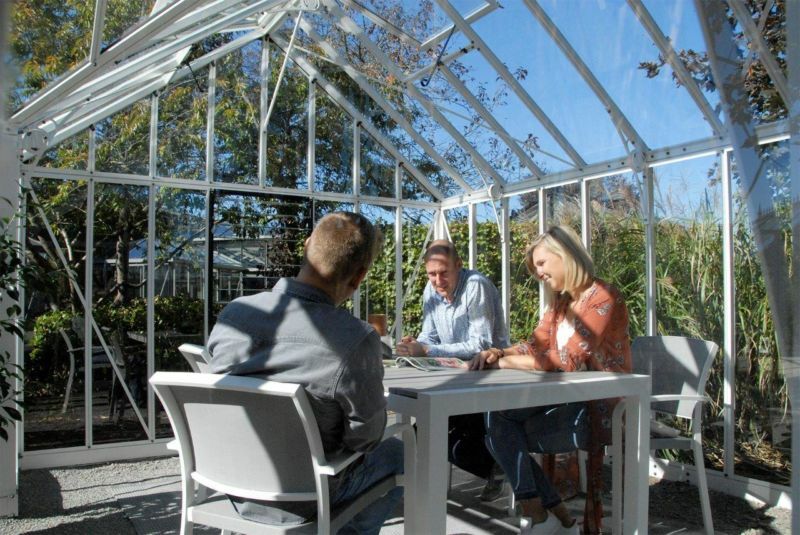 The porch provides extra room as well as being an attractive feature, so one can comfortably fit in a table and chairs for relaxing.